Inspiration for this one came from the tomatillos and red cabbage that I also got from Rebecca’s CSA bounty. 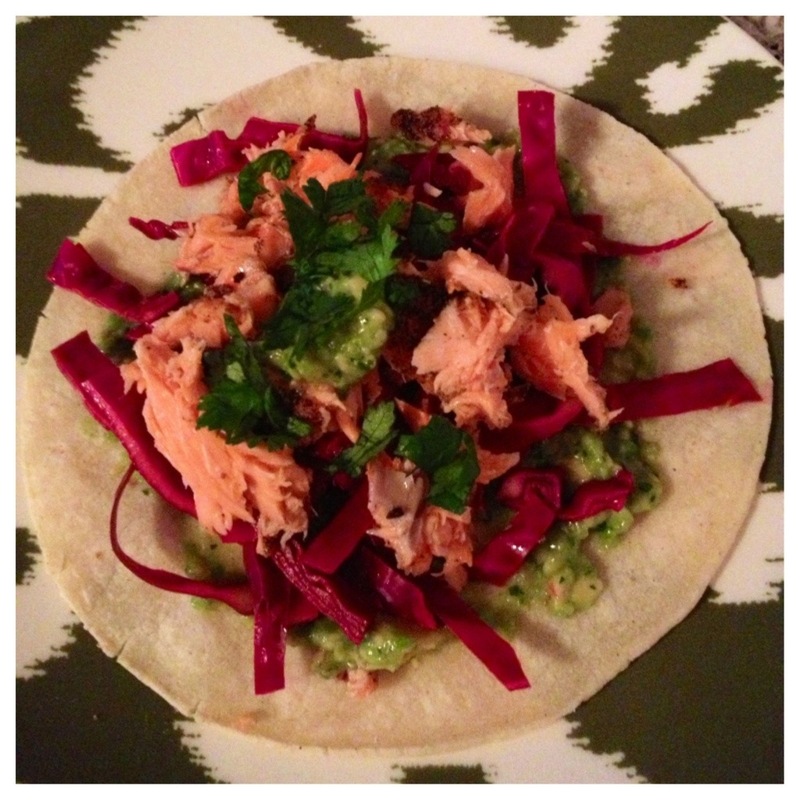 Google the two together and everyone says fish tacos – done! – Put it all together in warm corn tortillas (with more cilantro, to taste). 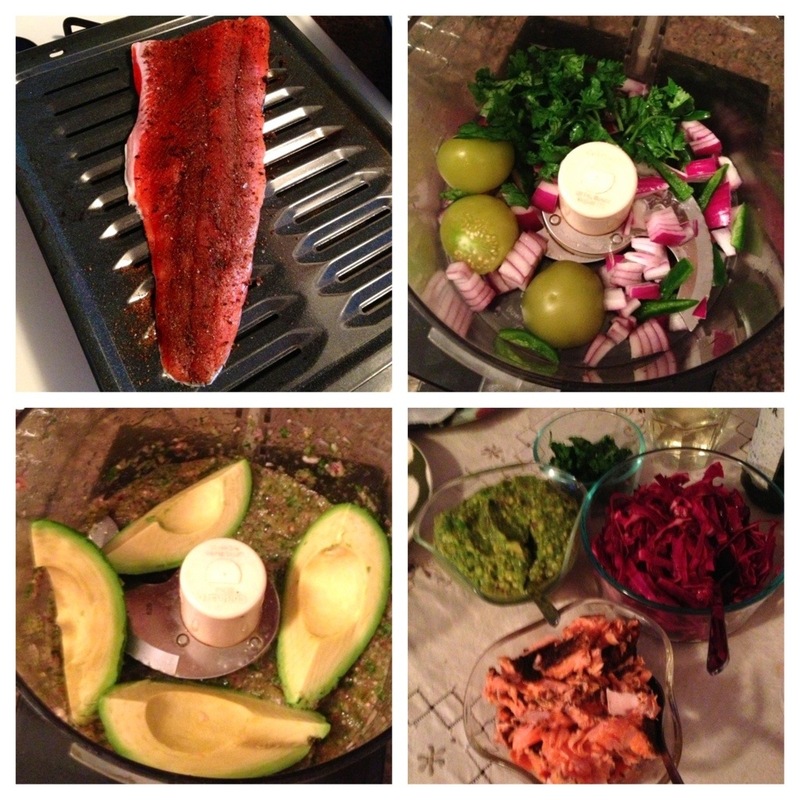 So apparently most fish tacos don’t call for salmon, but this turned out really well! And even friends who said they don’t typically like salmon said they liked this. Also, apparently you don’t have to worry about caffeine from coffee in a spice rub because the caffeine gets cooked out?